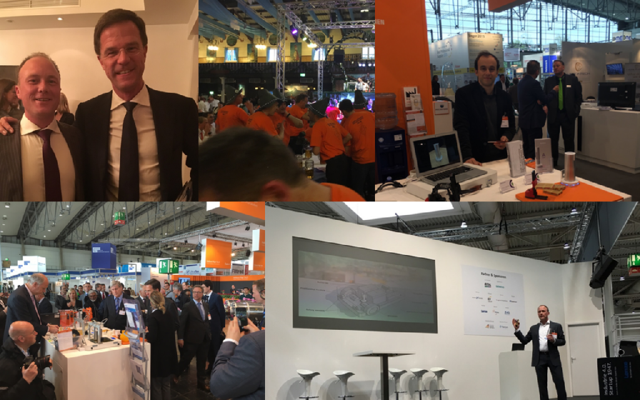 We are looking back at an amazing week at Hannover Messe. Starting with a dinner with prime minister Mark Rutte and a small group of people from the Embassy, business and institutes. A big honour and a great evening! At the Messe we had a booth in the Holland Innovation Square together with other innovative Dutch companies. There were several pitch opportunities at events and delegations. We met many companies doing exciting things in the robotics, automation, logistics and more. Lots of inspiration and many opportunities to collaborate. And of course Kings Day – in Münchener Stübe style!